View the value of you vehicle today. 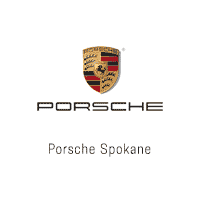 Since opening our doors in 2006, we at Porsche Spokane have been dedicated to providing excellence in New & Pre-Owned Porsche sales and service to the greater Eastern Washington & Oregon, North Idaho & Montana region. We love living and working in the Northwest and understand the unique needs of Porsche owners in our area. From our heated indoor service drive, to complimentary hand car washes, we are committed to providing a superior experience for our clients.